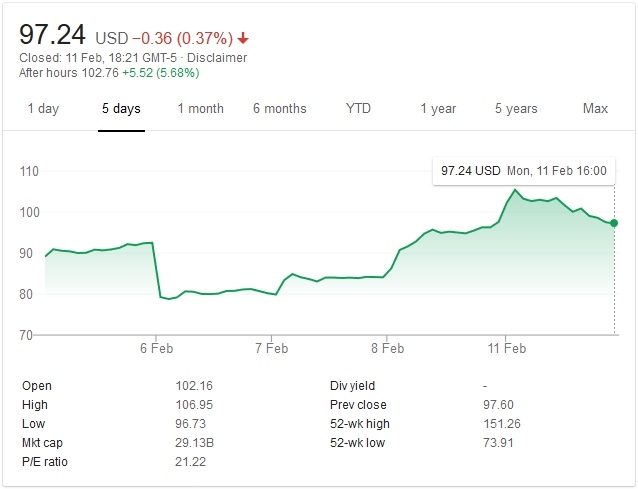 Electronic Arts (NASDAQ:EA) have had a rollercoaster of a week, to say the least. Following their quarterly results, which disappointed and saw shares plunge by a little over 14% from $92.52 to $79.26. 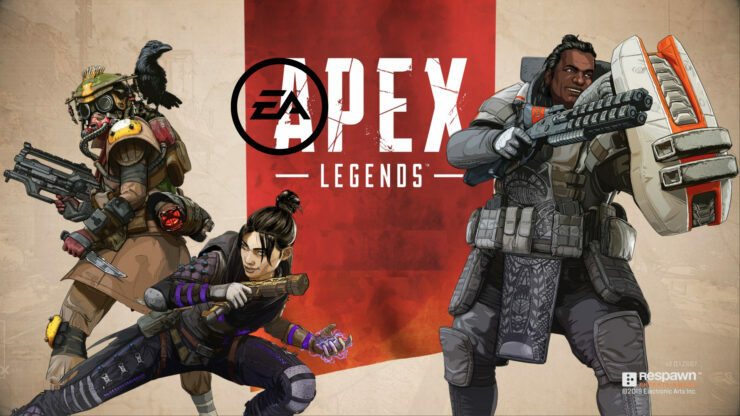 Apex Legends, which gained over 2.5 million users in its first 24 hours has reversed this fall, and then some, with some backing from the hopes of Bank of America Merrill Lynch. Shares of the company opened today at $102.16, rising to $106.95 before eventually closing at $97.24. This is the highest EA’s share has closed at since the 23rd of October last year. Apex Legends is the current smash hit, there’s little doubting that. Following the figures from the first 24 hours, it was revealed that the game reached 25 million users in its first week. Naturally, Respawn Entertainment and Electronic Arts are going to be happy with these figures. Investors also love to see this sort of surge in numbers, with them helping to boost the company behind them. In this case, Bank of America Merrill Lynch has upgraded the company from hold to buy and also increased its price target on EA from $95 to $110. They did this citing the potential of Apex Legends, believing it to be a Fortnite competitor. Justin Post, an analyst at BoAML, believes the volatility brought by this rush towards EA’s stock is worth the risk, should Apex Legends be a hit. There is caution noted, however, stating the fact that it is highly speculative. This is certainly true, though the speculation is certainly from solid foundations. Apex Legends is one of the most popular and well-received launches of a game in a long time, likely the hottest since Red Dead Redemption 2. It is far surpassing early figures set by PlayerUnknown’s Battlegrounds and Fortnite, though Fortnite wasn’t a successful title early on. The hopes are that players will spend high amounts of money on in-game microtransactions the same way they do Fortnite. As it stands, the game only offers in-game microtransactions on cosmetic items. However, following the trend set by Fortnite and later copied by PlayerUnknown’s Battlegrounds, a Battle Pass system is in the works. Timothy O’Shea, an analyst for Jefferies, predicts Apex Legends could bring in around $300 million in revenue. Other analysts have also been bullish about the game and company as a result of the high uptake and almost universal praise Apex Legends has received. Potentially Too Focused on Multiplayer? Later this quarter EA has Anthem scheduled to release. Anthem isn’t a Battle Royale game like Apex Legends, but one thing it does have in common is that it is, primarily, a multiplayer title. The game it can best be likened to is Destiny from Bungie and Activision – primarily as it’s a squad-based action game. Single-player is available in Anthem, though was described by developer Thomas Singleton to the Official PlayStation Magazine as “probably won’t be as rewarding”. The large problem is that all trends seem to have a life span before something else comes and takes their place. EA are seemingly placing a large focus on multiplayer-centric titles at the expense of single-player titles, following the ‘games as a service’ trend. Aside from their annual sports entries, the last single-player titles any EA studio developed were the poorly received Mass Effect: Andromeda and Need for Speed: Rivals, a game mired by loot boxes which were taken away following the Star Wars: Battlefront II scandal. Fortunately, the company does have a story focused single-player title in the works. This is Star Wars Jedi: Fallen Order which is also developed by Respawn Entertainment. Beyond that, there has been no concrete news on other titles that don’t focus on online play. Star Wars is a high-value brand and following the success of Apex Legends, it’s highly likely Star Wars Jedi will gain a lot of attention. Time is the core element now. 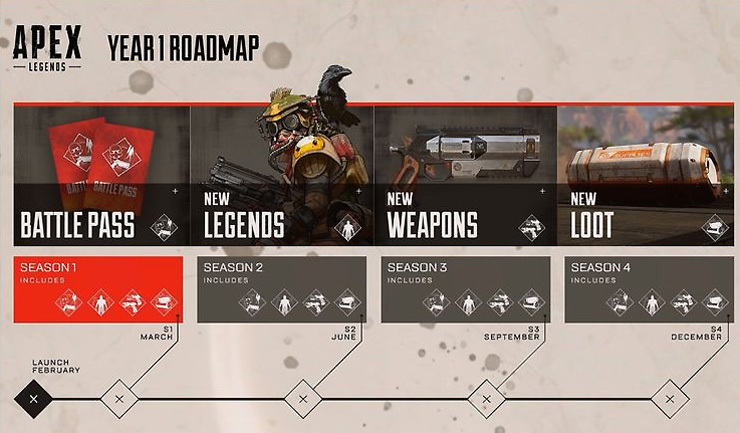 It will take time to see if Apex Legends can achieve player retention and bring in a strong revenue stream. Anthem, releasing soon, isn’t in direct competition with the free-to-play Apex Legends but will face scrutiny following Bioware’s previous outing with Andromeda and EA’s actions with Battlefront II. Further afield, it will be a case of seeing if trends and the public taste changes and if EA can release successful titles that meet their targets.